The Galaxy S8 Plus border-less display is a thing of beauty, sadly it’s also fragile. Thankfully, when you’re in the market for a Galaxy S8 + screen repair, Phone Ninja can help. We have stores right across Perth, so we are never too far away. We have fixed over 30,000 devices, so we know a thing or two about your Galaxy S8 Plus repair. Smashed the screen on your Galaxy S8 +? Want your Galaxy S8 Plus back like new? We can help! Of course, we also offer additional repairs to just screen replacements including battery replacements, charger port replacements, rear glass repairs, and much, much more. 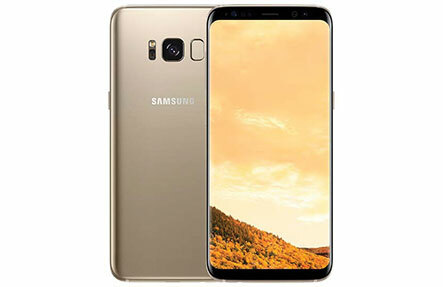 We source only the highest-quality Galaxy S8 Plus repair parts, something other repairers cut-costs on causing you hassles down the track. Our Galaxy S8 + repairs are also affordable and backed by our price-beat guarantee, find a cheaper price in Perth and we’ll beat it! So Contact us now for a quote, to set up an appointment, or to simply come into any of our stores for a repair, often on-the-spot!